The Justice Department charged Huawei and its chief financial officer, Meng Wanzhou, with conspiring to violate US sanctions on Iran by doing business with Tehran through a subsidiary it tried to hide and that was reported on by Reuters in 2012 and 2013. US Commerce Secretary Wilbur Ross said the charges are "wholly separate" from the trade negotiations. Yet the development is likely to upset high-level talks between Beijing and Washington this week as part of negotiations intended to walk back trade tensions between the globe's two largest economies. US authorities accuse Meng of playing a lead role in the scheme to use a subsidiary to conduct business in Iran in violation of US sanctions against Tehran. Meng has said she is innocent. 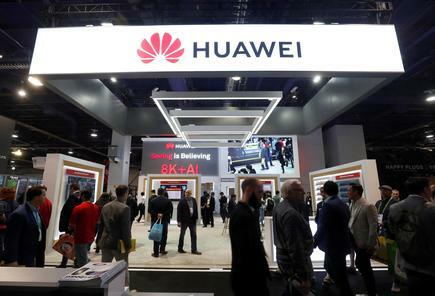 However, the Trump administration is trying to prevent American companies from buying Huawei gear and pressing allies to do the same. US security experts are concerned the equipment could be used to spy on the United States. News of the charges against Huawei and Meng marks a serious blow to the company's global ambitions. It has been battling against piling security concerns as Western governments including Australia and New Zealand followed the US lead in restricting its market access over the past year. It is unclear how the US charges would impact Huawei's business. Chinese peer ZTE Corp, which was similarly charged, was slapped with a devastating supply chain ban last year that prevented it from buying essential components from US companies. Read more US spy chiefs break with Trump on many threats to U.S.